Our 115 hp four stroke outboard is an in-line 4 cylinder, with a DOHC 16 valve design, creating a compact and powerful engine. The BFT 115hp includes dual stage induction for improved performance and Lean Burn control for better fuel economy while at cruising speeds. This motor also features Boosted Low Speed Torque, or BLAST, which improves acceleration at low speeds. A quick movement of the throttle control activates the BLAST system, advancing the ignition curve quickly. This will greatly improve “Hole Shot". 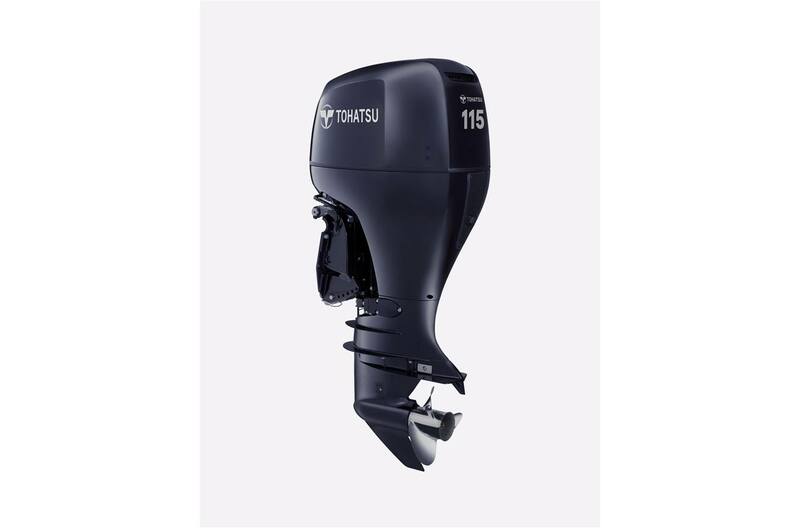 With on board warning systems such as low oil pressure, overheat, low battery warning, start in gear protection and over-rev limiter, the Tohatsu 115 hp four stroke engine gives you peace of mind while on the water.